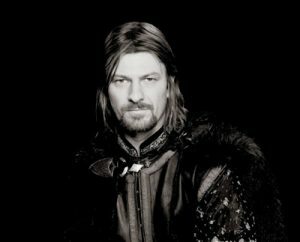 Sean Bean Set To Star in TNT’s ‘Legends’!!! So, it looks like Sean Bean will meet his untimely demise next in TNT‘s ‘Legends‘. Sean Bean has officially replaced Brendan Fraser in the new series from ‘Homeland‘ producer Howard Gordon. ‘Legends‘ was originally purchased by NBC, but later arrived at TNT, and centers on a deep cover operative agent spy Martin Odum (Bean) who has an uncanny ability to transform himself into a different person for each job. But his real identity becomes a mystery as a stranger suggests that he isn’t who he thinks he is. I just don’t see Fraser in this type of role and am glad he is out of the project. The former king, Lord Eddard Stark from ‘Game of Thrones‘ is a good choice for this role though. Fraser left the project after citing creative differences with Gordon and now Bean is in full command. This sounds like a cross between ‘The Jackal‘ and ‘24‘. Could be good. Plus I don’t think I have ever written two articles involving TNT in the same day. ‘The Night Manager’ Will Be Available On Blu-ray and DVD In August!!! Fox Issues Reboot Order for ’24: Legacy’!!! ’24’ Is Back From The Dead!! This entry was posted on Wednesday, December 5th, 2012 at 10:56 am	and is filed under News, Television. You can follow any responses to this entry through the RSS 2.0 feed. You can skip to the end and leave a response. Pinging is currently not allowed. « TNT is Developing a Buddy Cop Series from the Mind of Jamie Foxx!!! You look like you need a Band-Aid. Somebody else needs a body bag downstairs.